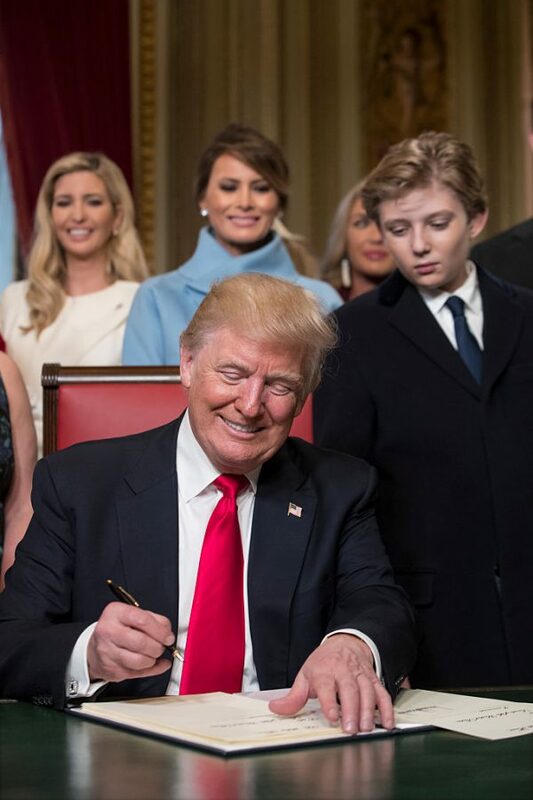 WASHINGTON—After traveling an unlikely path to the presidency, during which the nation’s political class seemed to unanimously conclude on numerous occasions that he had no chance of winning the Republican nomination or the presidency, Donald J. Trump was sworn in as the 45th president of the United States. 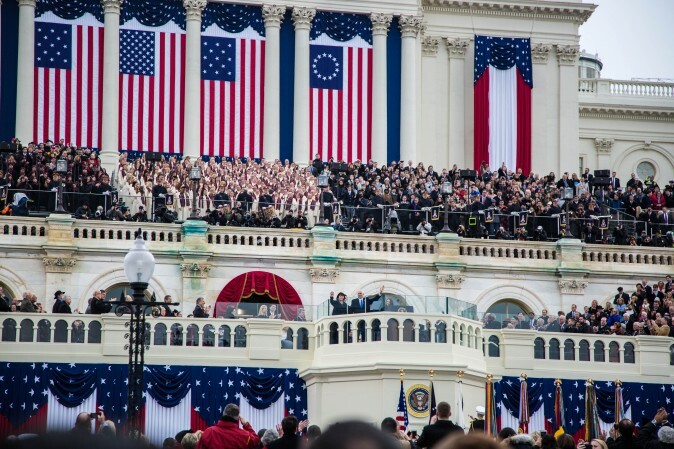 His supporters celebrated in a sometimes raucous inaugural ceremony. 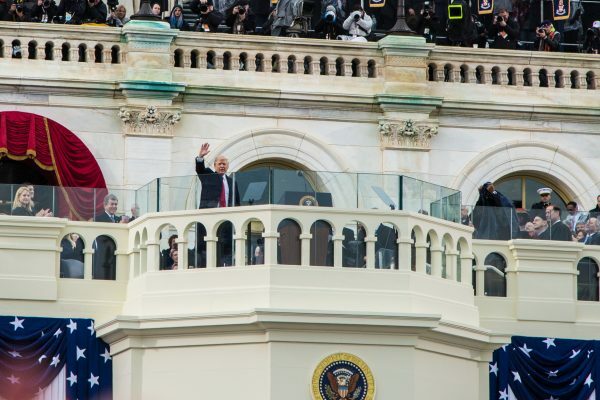 In his inaugural address, Trump took aim at the political class saying it had failed to understand the bond he was forging with large sectors of the American people. The political class in Trump’s telling has denied the American people their due respect and failed them by not taking care of U.S. interests. Trump said his inauguration reverses these trends. This was the American people’s day: “This is your celebration,” and “The forgotten men and women of our country will be forgotten no longer,” he said. 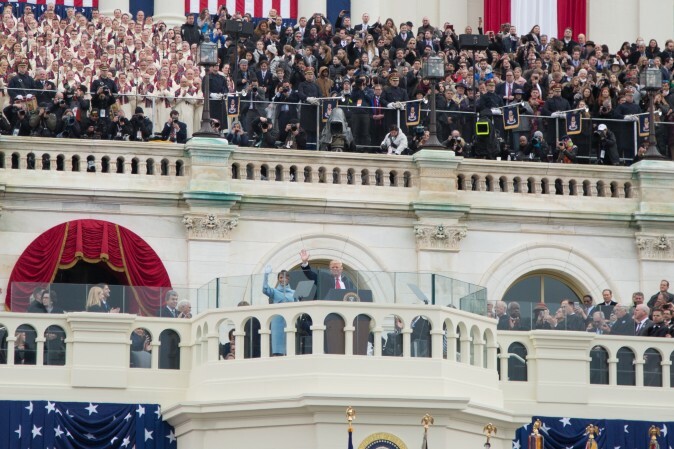 Trump found in his concentration on the American people a source of unity: “We share one heart, one home, and one glorious destiny.” And in putting America first, he found its source of success—the ability “to make America great again,” the trademark formula he uttered near the very end of his address. 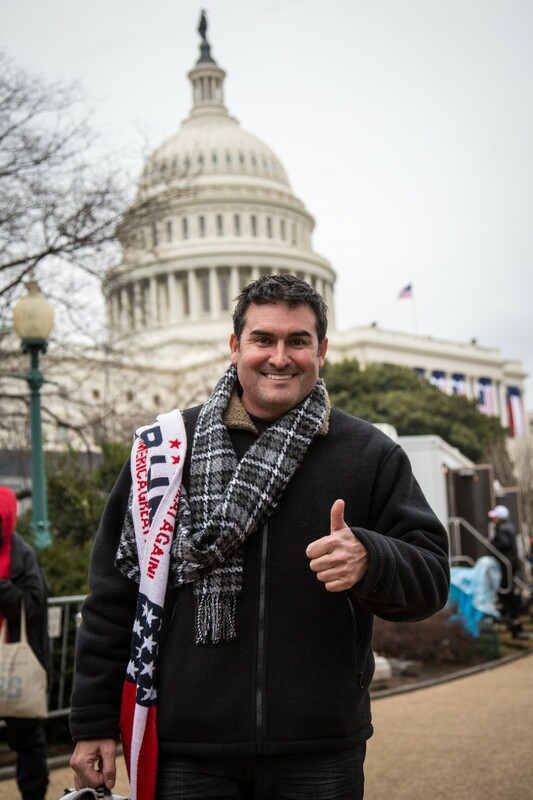 Spirits were high among the Trump supporters who came out for the inaugural. 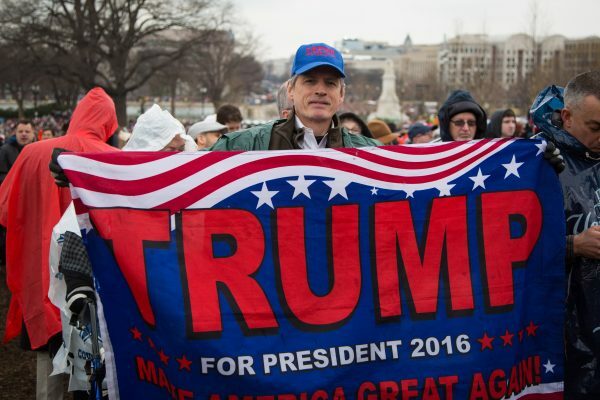 On a Metro train platform early in the morning, a young man wearing American flag blue jeans, a T-shirt, and draped with an American flag led a group of perhaps 15 millennials in cheers for Trump, as he jumped up and down. 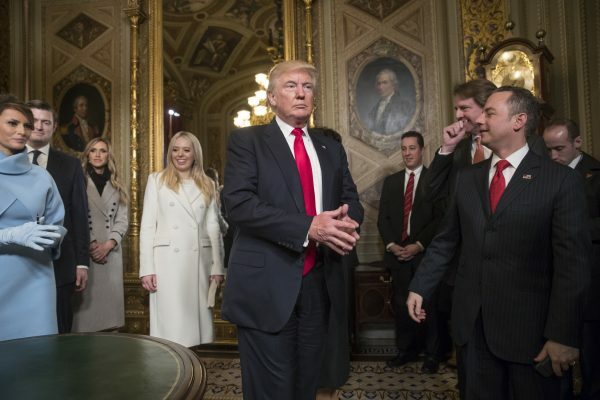 During the ceremony, the introductions of the members of the House of Representatives, the Senate, and the Supreme Court barely stirred the crowd to applause, but the introduction of Trump’s cabinet designees sparked loud cheers. 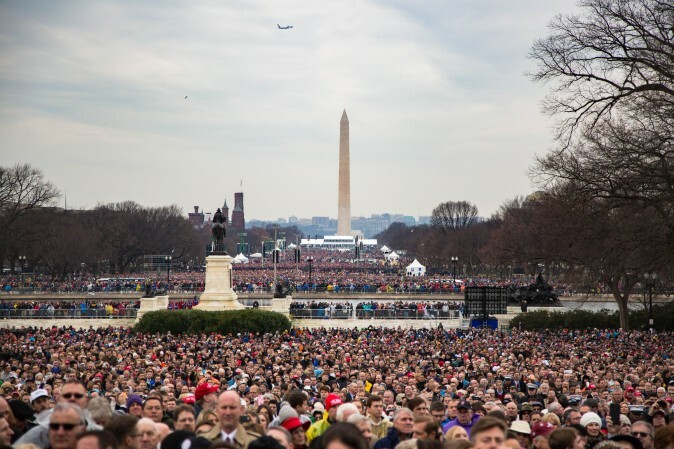 When the presidential motorcade was spotted on the big screen monitors heading to the Capitol, a spontaneous chant of “Trump, Trump, Trump” broke out. 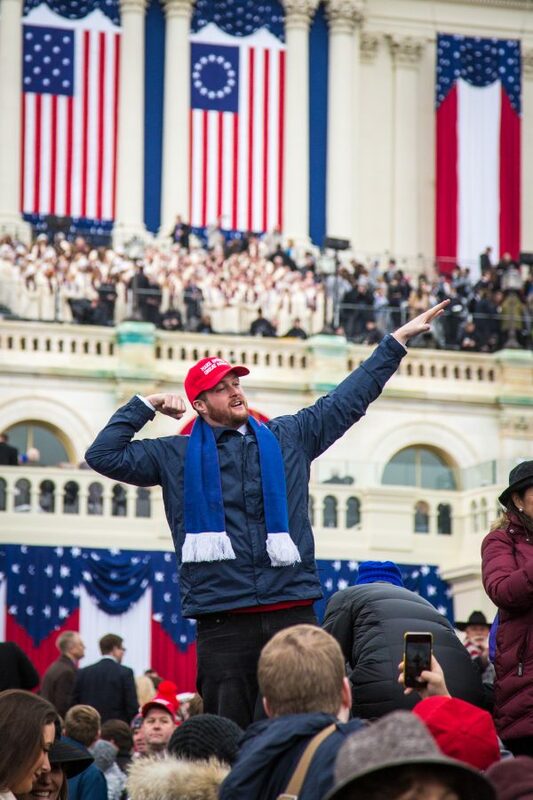 He said Trump’s inauguration was about Trump wanting the people to succeed, not the government. “He lifts people’s spirits when he talks about that,” he said. “I think that’s what happened today,” she said. While the crowd had high spirits, it also had something of a chip on its shoulder. Senate Democratic leader Charles Schumer, who has vowed to “hold Donald Trump’s feet to the fire,” had to speak over choruses of boos and then another round of “Trump” cheers. 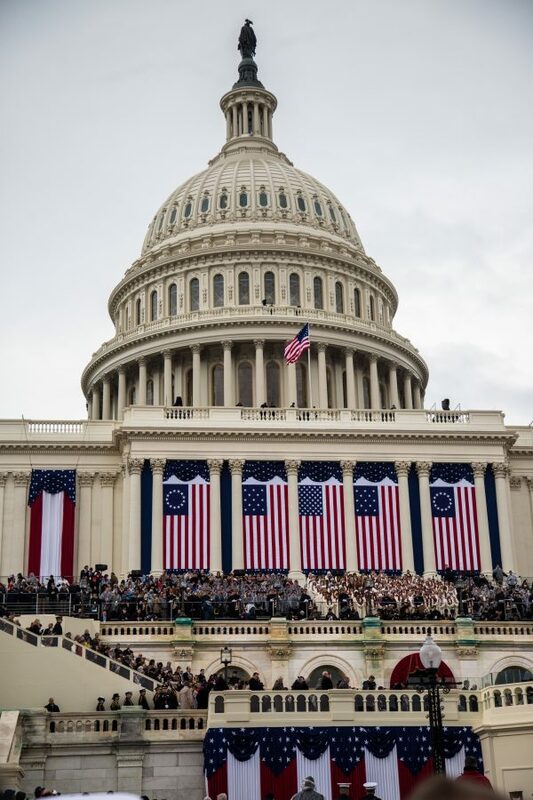 The inauguration took part in the context of partisan bickering. A number of celebrities refused to perform, 55 Democratic members of the House of Representatives boycotted the event, and Rep. John Lewis of Georgia had said Trump was not a legitimate president. A bi-racial married couple gave witness to the sometimes ill-tempered polarization in the country. 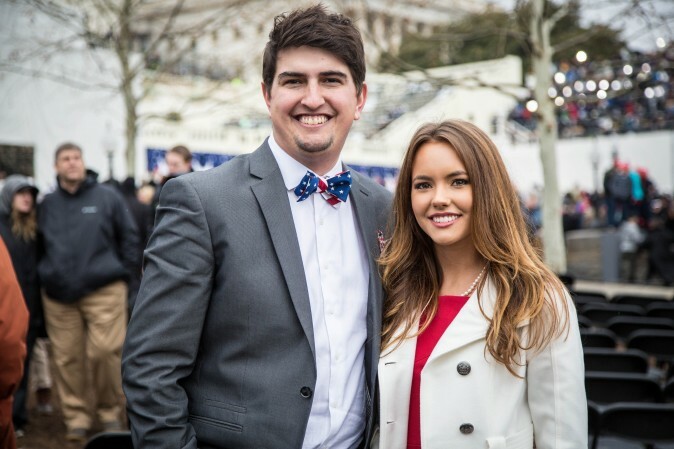 Like several Trump supporters, the wife described herself as being in tears of happiness during the inauguration. But she refused to give her name. She did not want to be trolled on social media and have to endure racial insults from other blacks, because of her support for Trump. She is originally from Harlem and her husband is a white man from West Virginia. 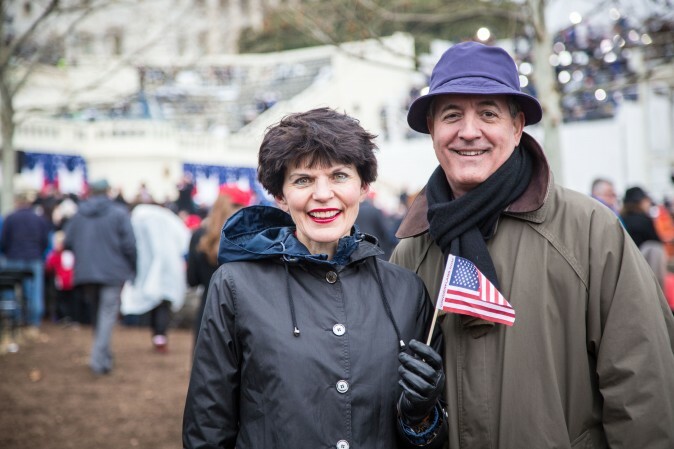 They feel their 30-year-long marriage shows the promise of the goodness the United States can offer. They hope that Donald Trump can help the nation deliver on that goodness. 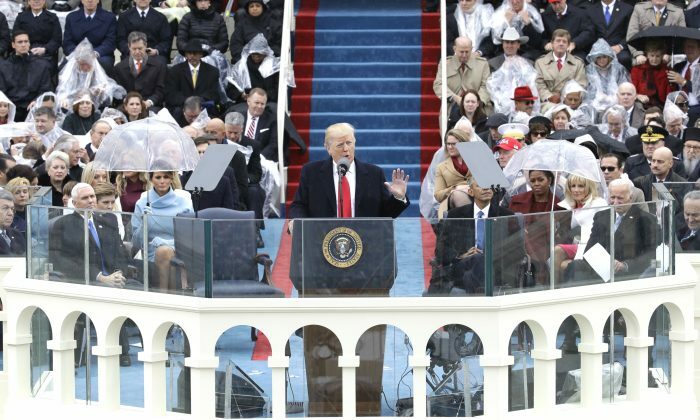 The forecast called for rain, but, while the skies threatened, the rain held off until the moment Trump began speaking, when a light shower began falling. 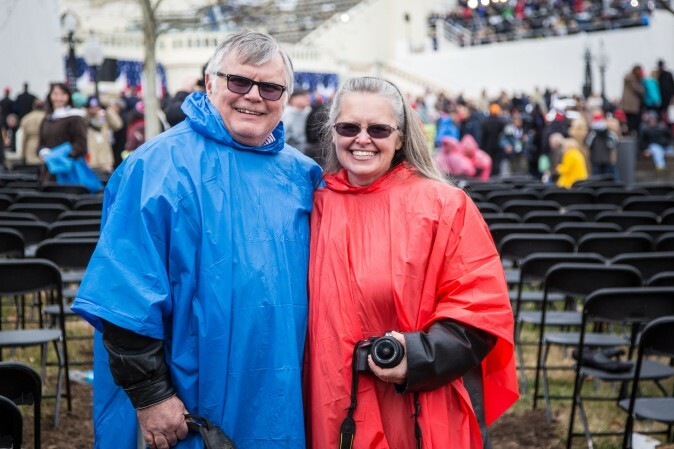 Prior to giving his benediction for the event, the Reverend Franklin Graham explained that in Christianity rain is often taken as a blessing from God. In addition to Graham’s benediction, there were four other prayers offered during the ceremony. 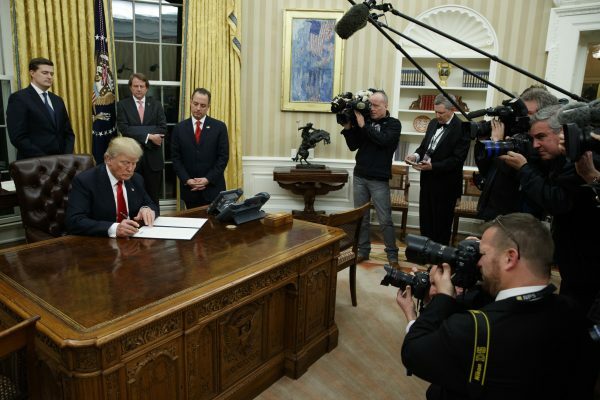 Trump’s own remarks referred to the “protection of God” and to “the almighty Creator” infusing individuals with the breath of life.